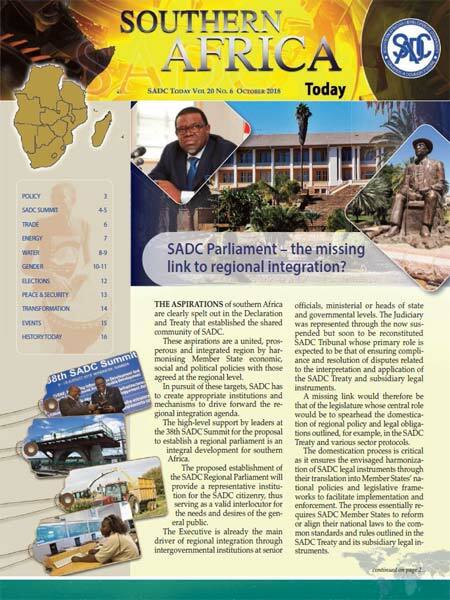 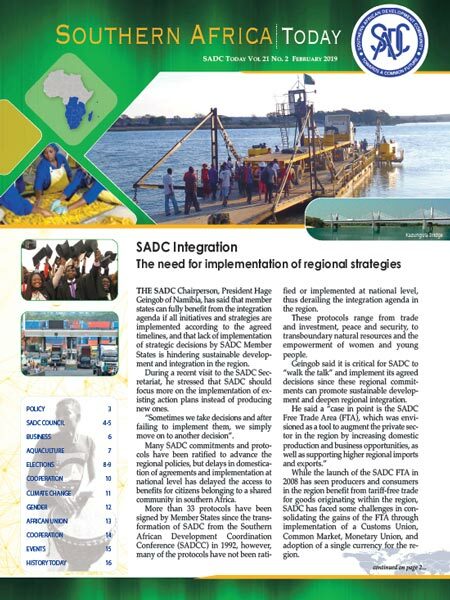 THE SADC Chairperson, President Hage Geingob of Namibia, has said that member states can fully benefit from the integration agenda if all initiatives and strategies are implemented according to the agreed timelines, and that lack of implementation of strategic decisions by SADC Member States is hindering sustainable development and integration in the region. 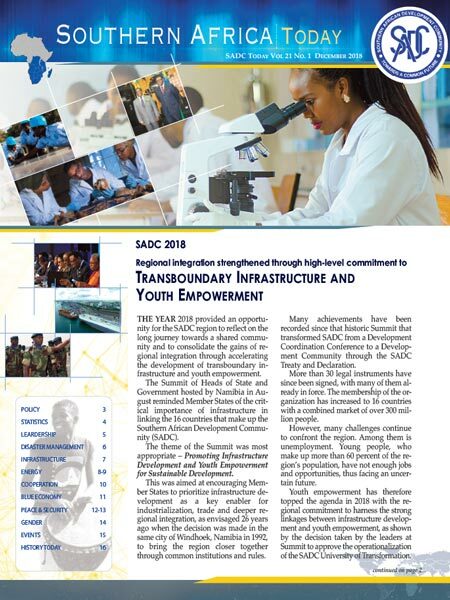 THE YEAR 2018 provided an opportunity for the SADC region to reflect on the long journey towards a shared community and to consolidate the gains of regional integration through accelerating the development of transboundary infrastructure and youth empowerment. 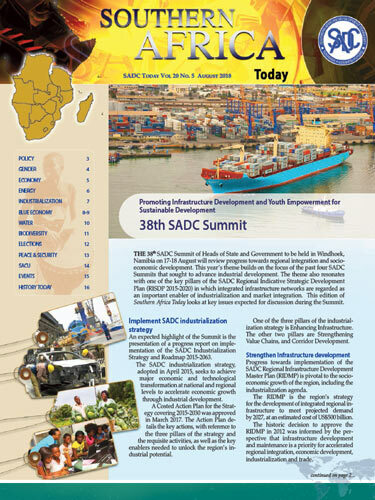 THE 38th SADC Summit of Heads of State and Government to be held in Windhoek, Namibia on 17-18 August will review progress towards regional integration and socioeconomic development. 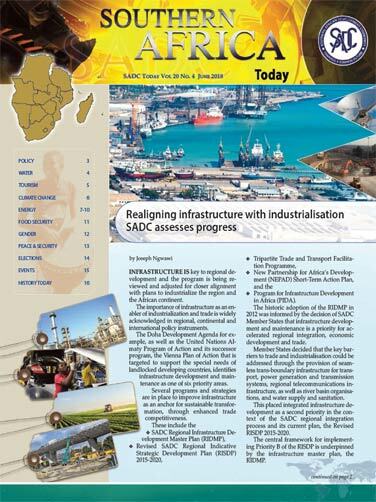 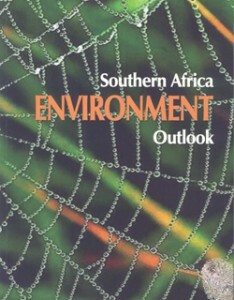 INFRASTRUCTURE IS key to regional development and the program is being reviewed and adjusted for closer alignment with plans to industrialize the region and the African continent. 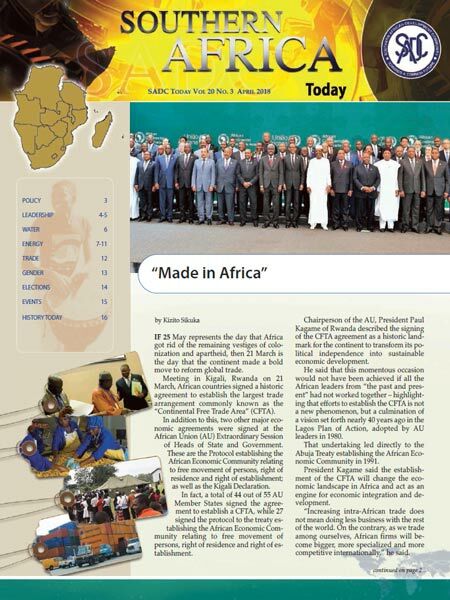 IF 25 May represents the day that Africa got rid of the remaining vestiges of colonization and apartheid, then 21 March is the day that the continent made a bold move to reform global trade.